WATERLOO, WI (BRAIN)—The United States Patent and Trademark Office (USPTO) has issued Trek Bicycle a patent on its Active Braking Pivot (ABP) suspension system, #7,837,213. SEDONA, AZ (BRAIN)—In an effort to help Titus dealers during this time of transition, Form Cycles is offering their services to dealers to help keep customers riding. FLETCHER, NC (BRAIN)—Responding to the chaos unleashed on headsets by tapered steerers, Cane Creek developed a headset identification code that is being adopted by other manufacturers. CARLSBAD, CA (BRAIN)—In light of recent news reports on the release of Campagnolo’s 11-speed electric group, company officials issued a statement emphasizing that its electric drivetrain is still a prototype. WASHINGTON, D.C. (BRAIN)—The U.S. Consumer Product Safety Commission, in cooperation with Perigeum Development Inc. (dba The Hive), issued a voluntary recall of about 500 Revl carbon bicycle brakes. GRAND JUNCTION, CO (BRAIN)—DT Swiss has launched a full-line of service kits available to dealers needed to properly field service of Tricon wheels. BROSSARD, Quebec (BRAIN)—Kuota’s first task going into 2011 was to make a great bike better. SOUTH ORANGE, NJ (BRAIN)— Zigo has been granted U.S. Patent # 7,780,184 covering key aspects of the LeaderLink technology used in the Zigo Leader Carrier Bicycle system. SPRINGFIELD, MO (BRAIN)—Küat Racks has issued a voluntary recall on select Küat NV 2 Bike Carriers (N101, N102). IRVINE, CA (BRAIN)—Felt Bicycles held its press launch yesterday at its company headquarters in Irvine, California, touting several new platforms—four to be exact. 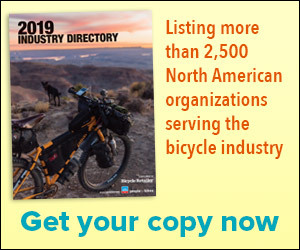 WASHINGTON, D.C. (BRAIN)—The U.S. Consumer Product Safety Commission, in cooperation with distributor Seattle Bike Supply, has issued a voluntary recall of about 330 Redline Conquest Cyclocross bikes from 2010. GIVISIEZ, Switzerland (BRAIN)—Scott Bikes will enter the electric bike market next year through a partnership with industrial engineering giant Bosch. Scott will introduce the E-Sub 20 and the E-Sportster at the Eurobike tradeshow this fall. Retail prices will start around €2,000. WELLINGTON, New Zealand (BRAIN)—Icebreaker is launching a cycling apparel line that will hit retail this winter. The New Zealand-based company is best known for its apparel sold through the outdoor channel. WASHINGTON, D.C. (BRAIN)—The U.S. Consumer Product Safety Commission, in cooperation with Campus Cruisers, has issued a voluntary recall of about 100 Eastside Fix bicycles. The bicycle's front fork can crack or break, causing a sudden loss of steering control and posing a fall hazard to bicyclists. WASHINGTON, D.C. (BRAIN)—The U.S. Consumer Product Safety Commission, in cooperation with Felt Bicycles, have issued a voluntary recall of about 2,100 Felt model B12, B16 and S32 road bikes from 2009. The manufacturer is ADK Technology Limited of China.